mera firstttttt comment hai!! balle balle! Nice!But I don't remember any of these..i feel like I haven't seen any of these. I remember all – and few more like Lifebuoy ,Halo Shampoo ,Shammi Kapoor n Ashok Kumar's Paan-Parag.Nostalgic ! 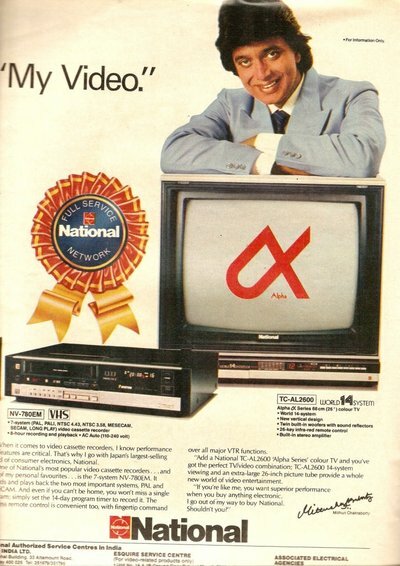 I remember a couple of them.. we still have the National VCR but it's no more in working condition. Annnd.. I remember the Goldspot ad.. that was great.. and the Hutch doggie (wherever you go, our network follows).. and the Nescafe (open open up.. open your eyes open your soul, dont stay behind, Nescafe)… and lifebuoy (zindagi ki raksha..) and BAJAJ Bulbs (jab main chota bacha tha, badi shararat karta tha)…ahhhhhhh now I am down memory lane!! Good post, Bikram!! 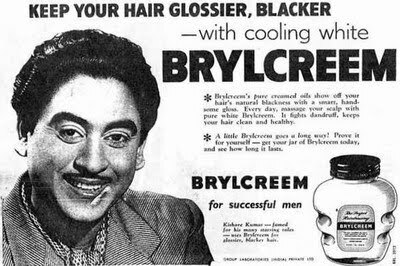 That made me nostalgic but do not remember seeing Kishore Kumar in an ad. Very nice!! !I jus remember Cinthol!! Totally crazy stuff!Btw- You have been tagged on my blog! 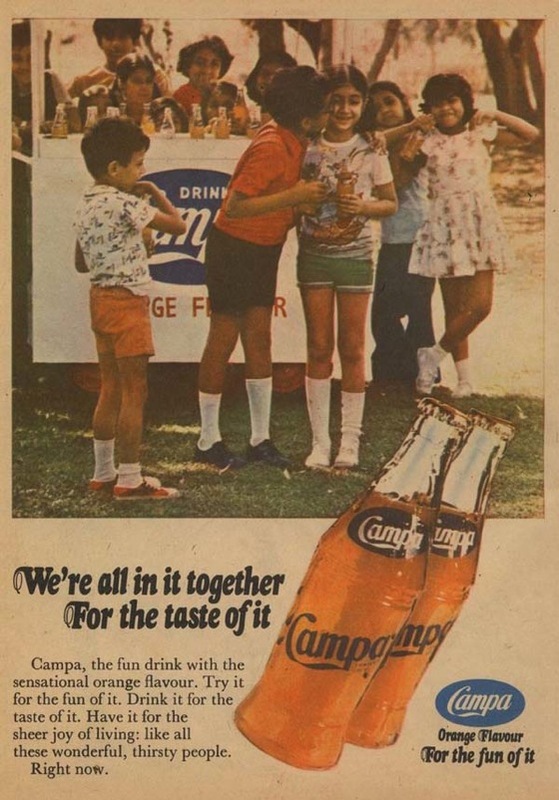 Very nice to see that you remember all the old Ads. I remember only Cinthol Ad. Really the old Ads were excellent. wow these were nice 🙂 do get more!!! 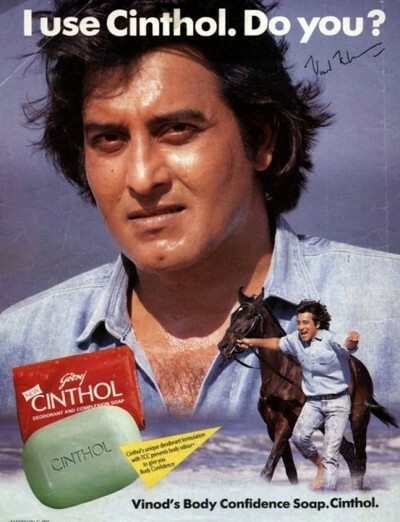 Good trip down the memory lane..when I see Vinod Khanna and Mithun of today….I wonder how could handsome Vinod could age like this:)I used to love the ad of fair and lovely with Rhea Pillai..today also I like the one of Ponds, if anyone knows the female model, please tell me who she is. Aah seriously made me nostalgic….lovely post. 🙂 Made me smile. 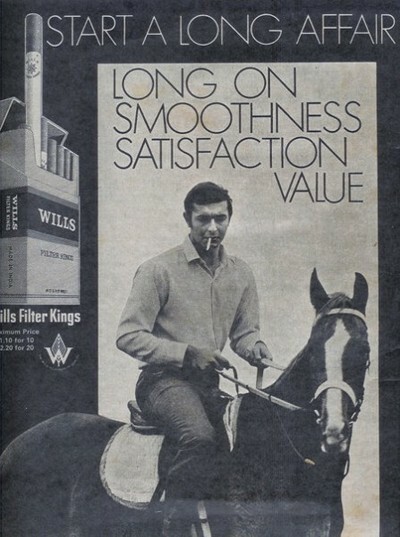 Remember the Cinthol and bagpiper ads. 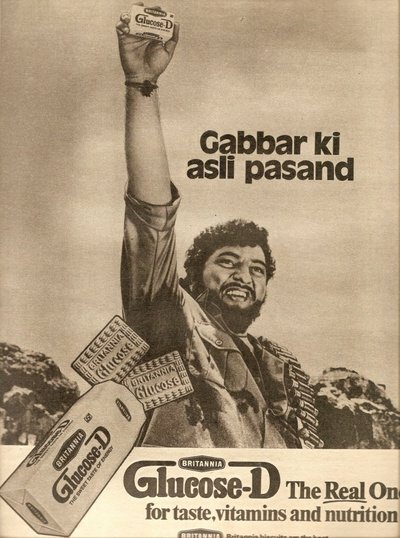 That Kabir bedi ad must be from the 60s, no? Good ones. Waiting for more, maybe then i will be able to recall. Great post.I know it for a fact that Amjad Khan did not charge a penny for the ad as the company had promised X amount as charity for children's charity.This ad was released immly after Sholey was released. Kavita :- Wow yayyyy .. Yeah yeah I do remember and paan paraag was that guy jalaal agha too.. AUR MERE LIYE… yes Lifebouy .. laifebouy hai jahan tandurasti hai wahan 🙂 Punam :- Yeah we had a national vcr too, its lying somewhere in the store now back home.. lifbouy yess… Meri chori pakadi jaati … and the EC bulb.. Asrani or was it Paintel saying Poore ghar ke badal daloonga … THanks punam… Shilpa Garg:- Haanji thi and as i read from BK Chowla sir he did not take any money for the ad it all was charity.. 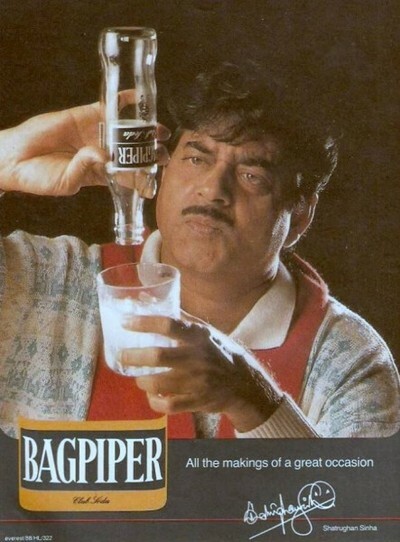 I did not see the kishore kumar ad myself.. yeah Bagpiper was my favourite AD he he hhe 🙂 Chitra :- Me either but he was .. Thank you so much.. UmaS:- did you he heehe good goood .. Yeah me too it reminds me of childhood the good old Golden days 🙂 Chandrika Shubham :- Thank you so much. Ananya :- Yayyy anything to make you smile he hehehe 🙂 Angels Never Lie:- Yeah i understand he use to be good looking .. I am sure you are very young.. 🙂 MEghzyyy:- Do you now … good thats because you are not as old as me he heheeh … good goood NRIGirl:- Ok.. thanks for visiting me … Raj:- There you go you rememebr a few… and Hindi hmm we need to work on that then he hehehe .. How you doing .. dont see you too often these day You ok … Harman:- Thanks a lot for visiting..
Sakshi:- Thank you thank you .. I love tags will surly take it up very sooon.. and thanks for liking this post. Smitha:- he he he Oh no no Dil jawaan chahiye.. Old shold is nothing .. wowo thats amazing i had a few very old books my granddad gave me .. I shud get them out again been ages since i last read them … Amrit:- No its not the memory, paaji You are too young .. thats why you cant remember .. thats how to look at it he he he he 🙂 Babli :- thank you thank you.. yeah these are quite old I have not seen all of them ..
Jeet :- where did i find them, jsut surfing here and there and so on..Yeah kabir bedi is before my birth too, Yeah india has come a long way .. recetnly i was watching a show on BBC on best ads around the world or funny ads .. and one of india;s ad was featured in it .. Thank you so much. 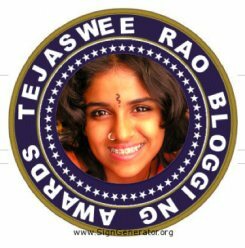 Rajlakshmi:- Offcourse and definitely thats why, you were not born when these came.. or too young to rmemeber but now you can see 🙂 Sh@s:- Thanks for visitng, YEah i will put some more soon .. I doubt if u will recall cause they are very old like me he he he ehhe BK Chowla Sir:- thanks fr sharing the info, i have heard from a few people i know that Mr. Amjad khan was indeed a very good man, he did a lot of work for the helpers and spot boys, spares .. indeed a ver ygood man.Thank you for sharing. @ bikram what a awesome collection!i was born in 1982 and i remember seeing cinthol and mithun's add i think… but all these pictures were cool.thanks for the rewind. wow now that's something to cherish !! Where did you find these precious pictures ??? LovelyAnd thankfully you mentioned that it's Kabir Bedi…I just could not recognize !!! vraiment, très bon post! passionnant interessant, je follow!